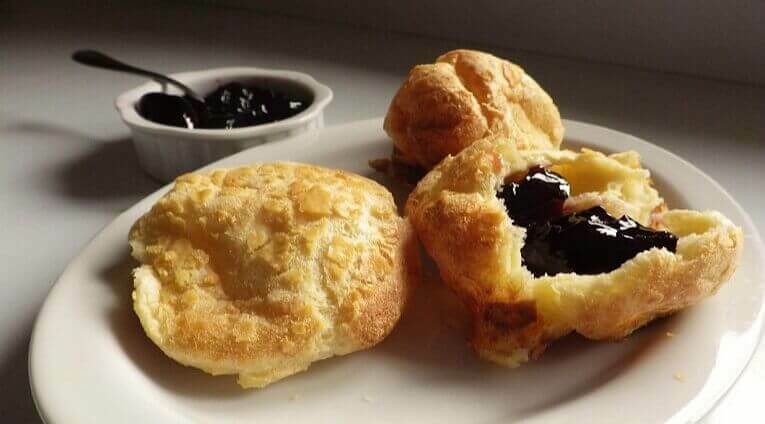 Popovers tend to make rare appearances on many dinner tables. They’re usually served and reserved for Holidays and special occasions. And that’s too bad because they’re so easy to make and taste so good. Better yet, your bread machine can make this recipe easier. But there’s a catch. This recipe starts with a batter, not a dough. In order to make the batter in the machine you’ll need a cookie dough or pasta dough setting. These settings do not have a rising cycle. In actual fact, a batter recipe does not require a rising cycle before baking. 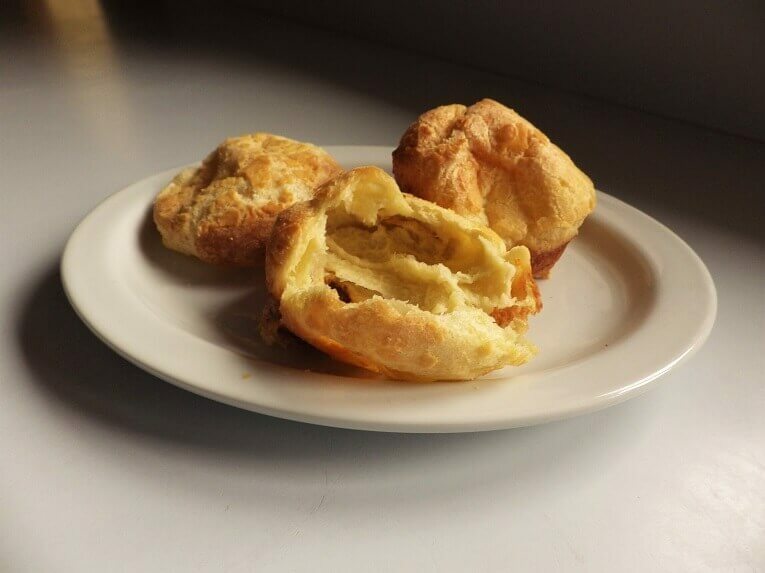 If you do subject the batter to the rising cycle the Popover will not pop in the oven and you’ll have a thick, heavy slug of dough as a result. If you don’t have either setting you can use a basic dough setting which is standard on most machines but be careful. Even the basic dough setting has a rising cycle at the end of the setting, so you have to pour out the batter after the mixing/kneading cycle before the rising cycle begins. If you don’t understand how those cycles work, consult your owner’s manual. The cycles within any setting are important to know. 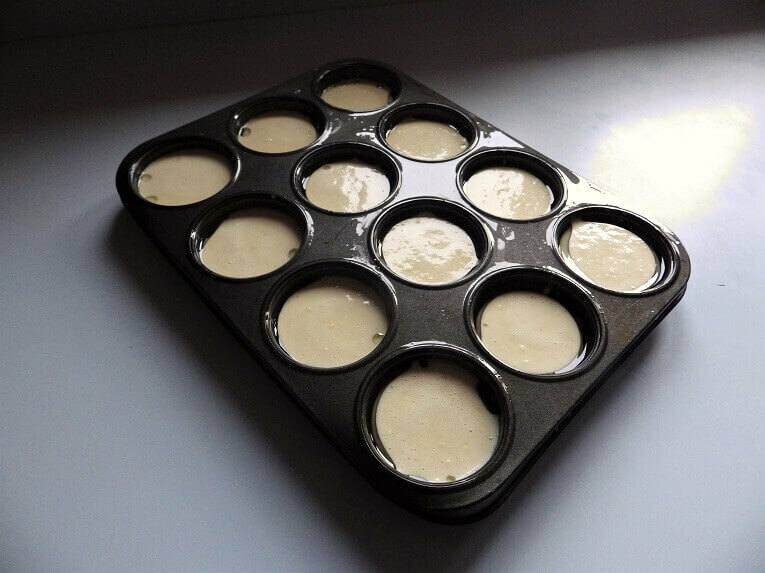 When the batter is done it’s poured into a cupcake pan to finish the Popovers in the oven. 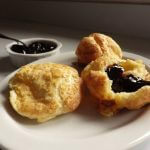 They’re great with any meal served with gravy or a sauce and are a delicious and surprising treat at breakfast with butter or your favorite jam or jelly. This is another one of those baking recipes that requires a temperature step-down during the baking process in the oven. 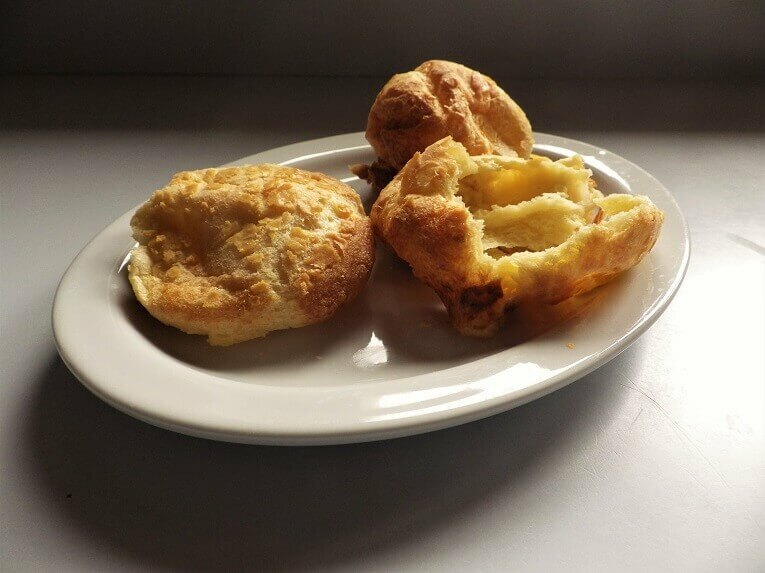 It also starts at very high heat and the oven should be very hot before the Popover dough goes in or you won’t get the “popover” affect that defines the name. It’s also important that you put the Popovers on the lower rack of the oven. 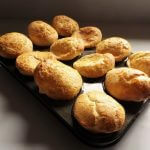 The heat hitting the bottom of the pan and releasing steam is what inflates the dough and makes it pop up or popover, and the lower rack will prevent the Popover from popping into the top of the oven. 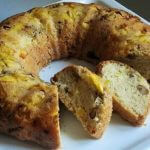 The recipe itself is very simple and it uses neither yeast nor baking powder or baking soda. Instead, eggs provide the sudden lift to the dough. Preheat the oven to 450 degrees Fahrenheit or 230 degrees Celsius and place a baking rack on the lowest shelf. 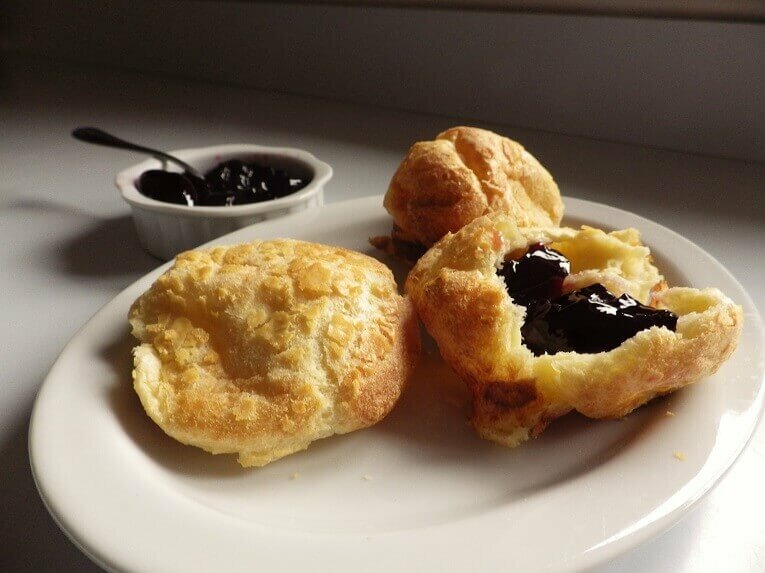 Make sure there’s room for the Popovers to pop up. 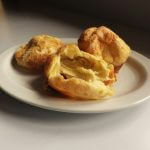 Also, make sure the oven is up to the heat you’ve set before making the popover batter. 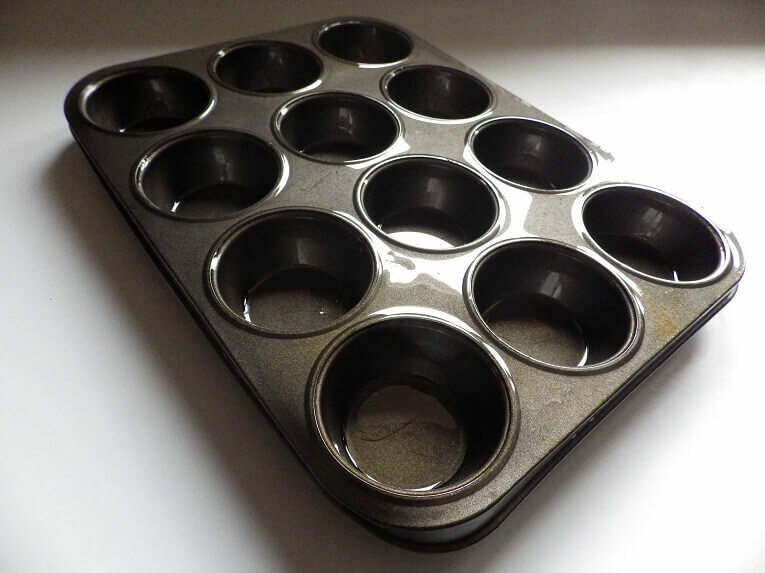 Butter or oil a standard, 12-cup cupcake pan making sure to oil both the interior of the cups and the tops of the pan between the cups. 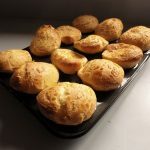 It may be wise to put a small pat of butter at the bottom of each cup to prevent the popovers from sticking during the long baking process. 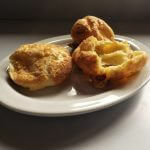 The popover effect will cause the dough to flow over the rim of the cups. 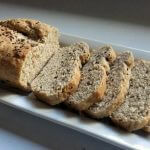 Add all of the ingredients to the bread pan in the order indicated in the ingredient section of the recipe and select the setting you have determined will best work with your machine to make a batter. When the batter is done, carefully divide the batter between the 12 cupcake departments. DO NOT USE CUPCAKE CUPS. 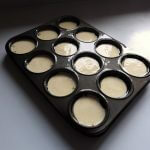 You want the batter in direct contact with the very hot, buttered cupcake pan. 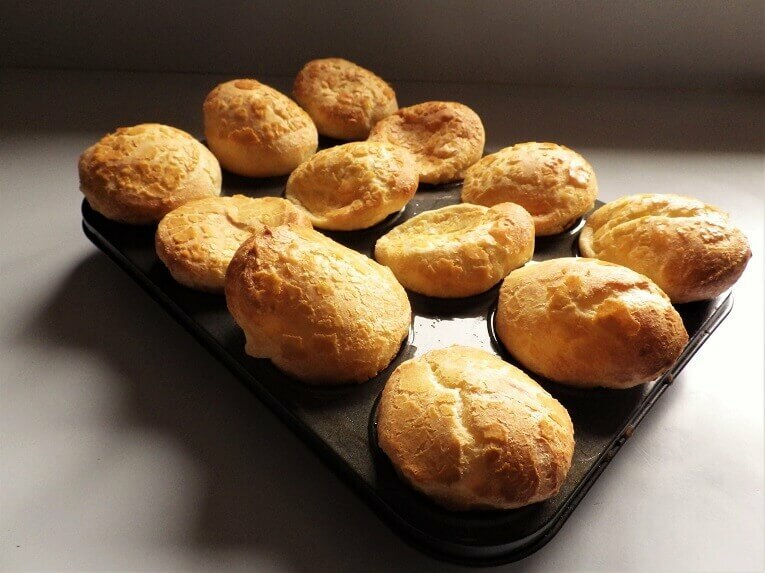 Bake the Popovers for 20 minutes at 350 degrees or 230 degrees Celsius. 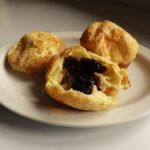 DO NOT OPEN THE OVEN DURING THIS FIRST 20 MINUTES OR YOUR POPOVERS WILL COLLAPSE. 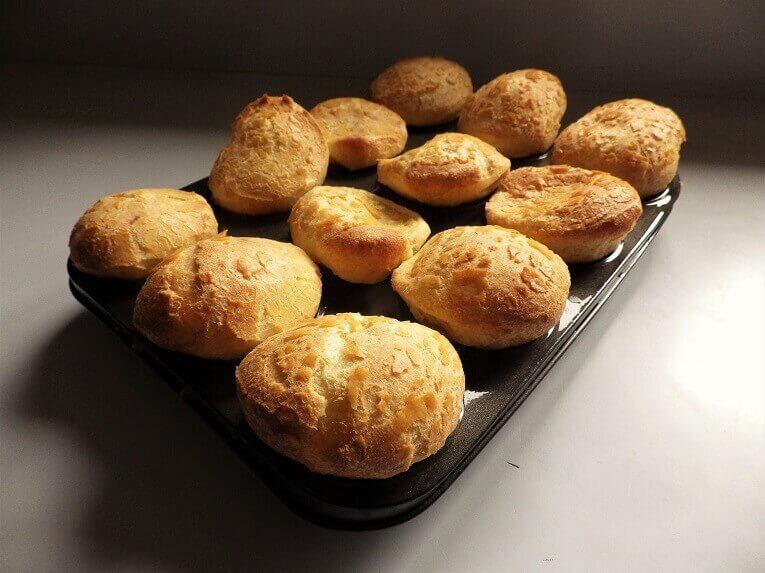 After 20 minutes step the oven temperature down to 350 degrees Fahrenheit or 175 degrees Celsius for 15 to 20 minutes or until the Popovers are a deep golden brown. 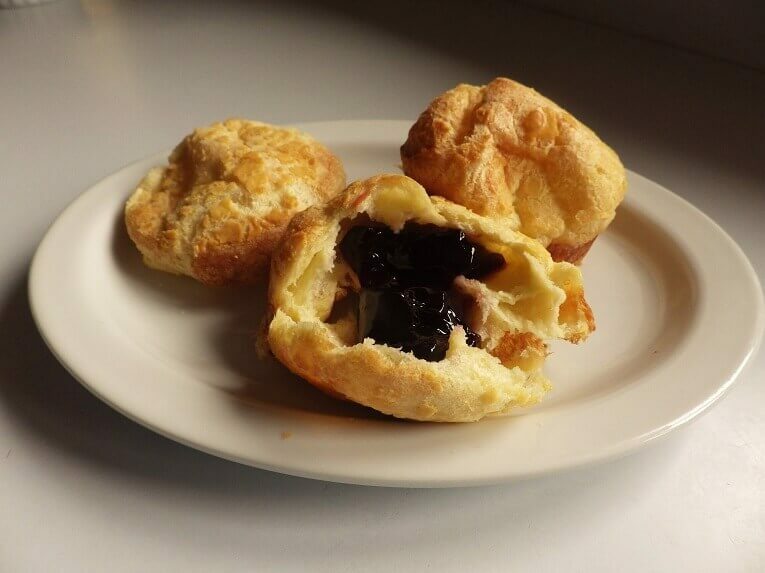 You can open the oven and check the Popovers for color after 15 minutes at this reduced temperature. 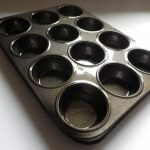 When done, carefully tip the cupcake tray to release the Popovers and serve immediately. If any stick to the bottom of the pan, gently pry them loose with a spoon. They will deflate and collapse with time but, you can cook them an extra 5 minutes after browning to harden them up, so they maintain their “pop” while sitting on the table for late arriving side-dishes or entrees.